Lia's Food Journey is an accounting of my passion for food and my adventures through life. 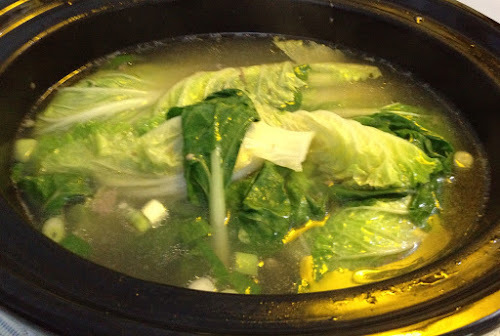 There's no other way to call it but Bulalo! That yummy buttery goodness! And I literally mean, GOOD! Marrow is good for the body. It is considered good choelesterol. Another example of monounsaturated fat is Olive oil. Are you going to remove olive oil from your diet because it is fat?! Hahahahaha. OK, I will not convince you anymore! More for me! My Ate and Kuya were so happy! I thought my Kuya only eats healthy food. But I was surprised he ate a whole serving! I saw him put a small amount of rice on a saucer, put the marrown on top, poured hot soup and added a dash of patis! I ate a little rice with my marrow. 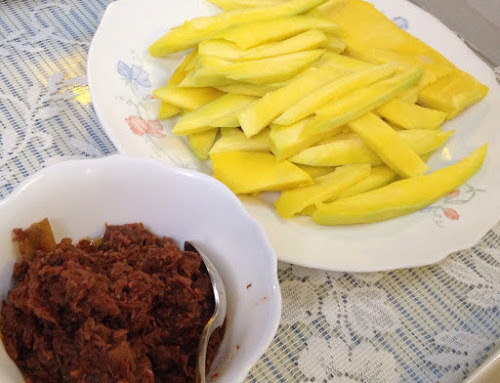 Green mangoes and bagoong from Tricia! 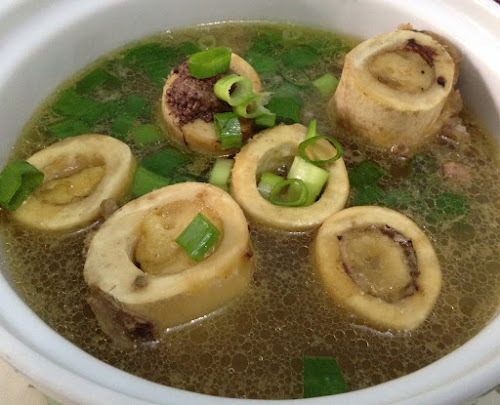 For my other family members who do not eat marrow (Thank you, Lord! 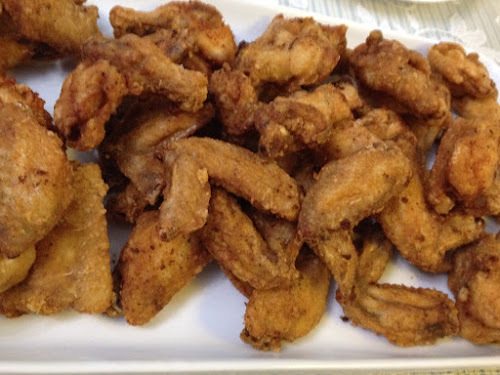 ), I cooked Fried Chicken and sidings for them. I followed a youtube video Fried Chicken Recipe. Pat dry the chicken pieces. Use any breading mix you like but I used my Lunch Box Chicken recipe. Lift the skin of the chicken partly from the meat and dredge with the breading mix. Shake off excess breading and lay on the tray. Do this for all the chicken pieces before you fry. Heat the oil until it reaches 165F. Deep fry until golden brown or follow my Lunch Box Chicken instructions. Use a cooling rack to let the oil drip instead of paper towel. I asked Hermie to buy sweet corn from Guadalupe and told her to get corn with small kernels. 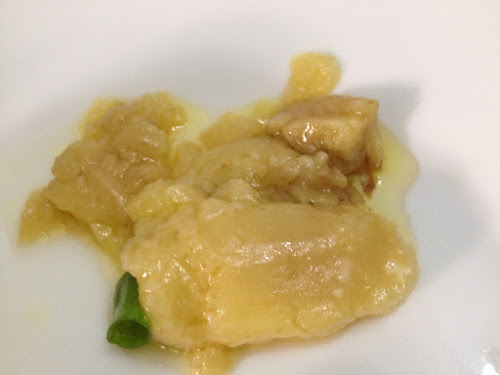 I think it was native corn, not Japanese corn that was why it was so sweet. 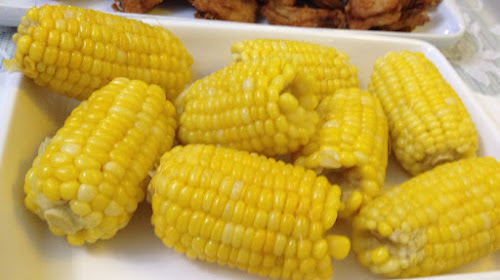 Not the artificial sweetness from Genetically Modified Japanese corn. 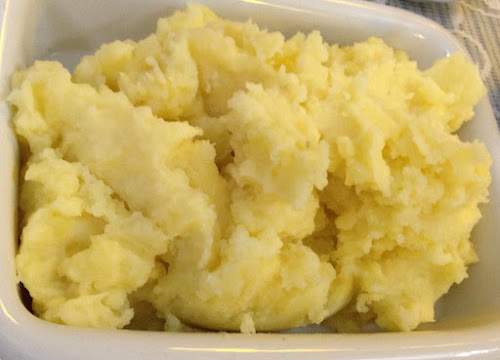 Of course, the kids like mashed potatoes with gravy. I put the rest of the meat, vegetables and soup in the slowcooker so it will remain piping hot throughout our meal. Too bad PD had to go somewhere today. She would have loved the bone marrow! 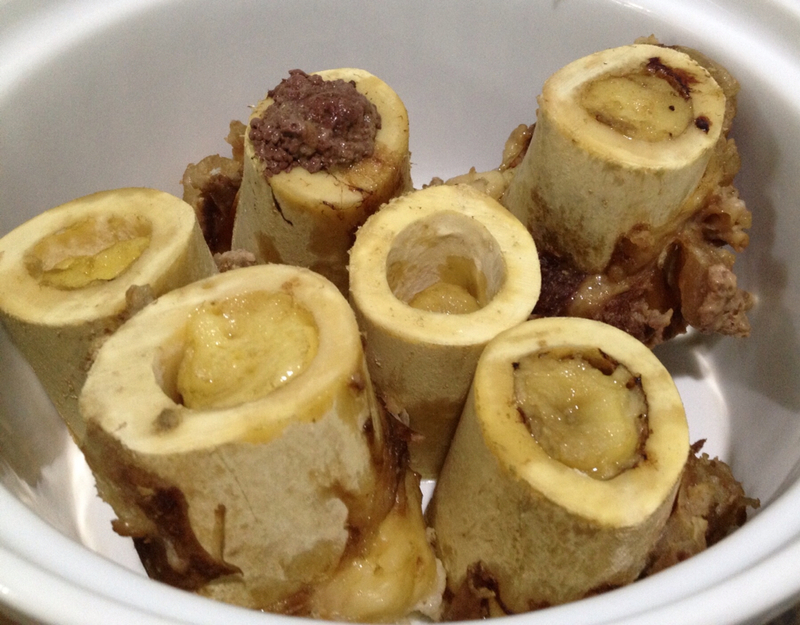 I will have to order again the bone marrow from my suki Rustan's butcher. Happy Birthday to the Septembrants! Ngohiong ... Not for the weak of heart.